The megaAVR 0-series: The ATmega3208/3209/4808/4809 microcontrollers broaden the effectiveness of real-time control systems with a combination of intelligent hardware peripherals alongside the low-power architecture of the 8-bit AVR processor. PIC18 64-Pin Controllers: The PIC18(L)F65/66K40 microcontrollers combine large Flash/EE/RAM memory, rich peripheral integration, XLP and 5V support to suit a variety of general purpose applications. These 64-pin devices deliver Core Independent Peripherals such as CWG, WWDT, CRC/Memory Scan, Hardware CVD, Zero-Cross Detect and Peripheral Pin Select. 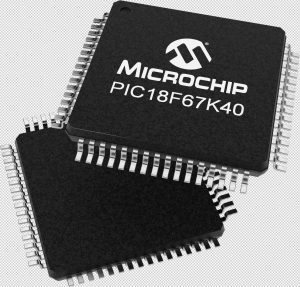 Full-featured 14/20-pin microcontrollers: The PIC16(L)F15325/45 8-bit family of microcontrollers feature a range of analogue, core-independent and communication peripherals, combined with eXtreme Low-Power (XLP) for a range of general purpose and low power applications. Farnell element14 is offing exclusive discounts on several 8-bit development tools, all featuring on-board programmer/debuggers, for a limited period.